I propose you to discover together the great classic races of the Oisans massif: the East Meije, the West Rake, the Bar and the Snow Dome of the Ecrins, the Crossing of Pelvoux, the East Wing, the Peak Coolidge, Great Ruin, Lambs, Rouies, etc. 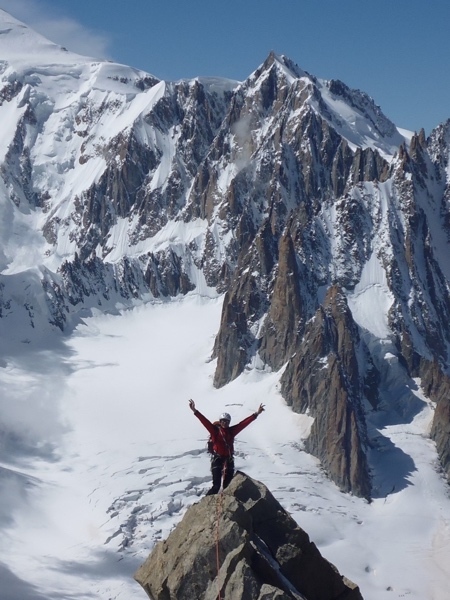 We can also visit the great peaks of other classic alpine mountains: Mont Blanc, the Aiguille du Tour, the Aiguille d'Argentière, the Domes de Miage, the Grand Paradis, the 4000m of Mont Rose, the 4000m from Saas Fee, etc. Races of snow, ice and mixed, easy level (F) and little difficult (PD), to learn about mountaineering and discover the wonderful alpine peaks. 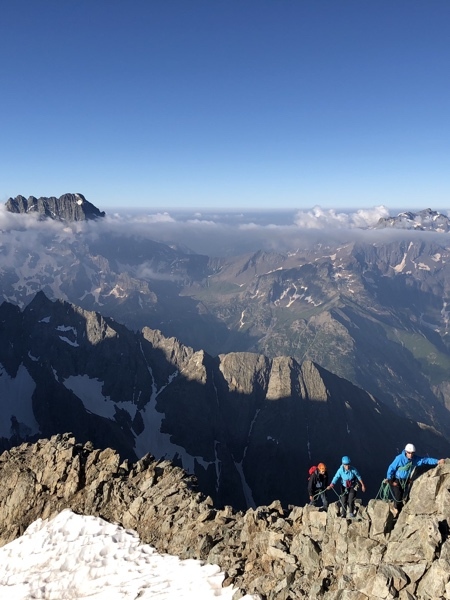 I propose you to realize together the great technical races of the massif of the Ecrins: the Traversée de la Meije, the Crossing of the Bar of the Ecrins, the Ridge of Coste Rouge with the Ailefroide, the South Ridge of Petit Pelvoux , the Candau Pillar at Rake, the Edge of Filmmakers, the North Edge of Sirac, etc. 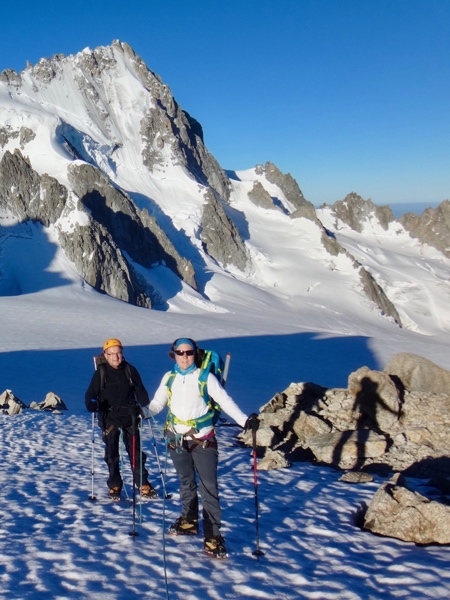 We can also climb the other technical summits of the surrounding alpine massifs: the crossing of the Grandes Jorasses, the Rochefort ridges, the Monk's Ridge at the Aiguille Verte, the Kuffner at Mont Maudit, the Matterhorn, the Dent Blanche , etc. From varied races of quite difficult level (AD) to very difficult (TD), to improve in complete safety, to acquire more autonomy or simply to realize a mountaineer's dream. I propose you to go together the most beautiful granite tracks of the Alps. 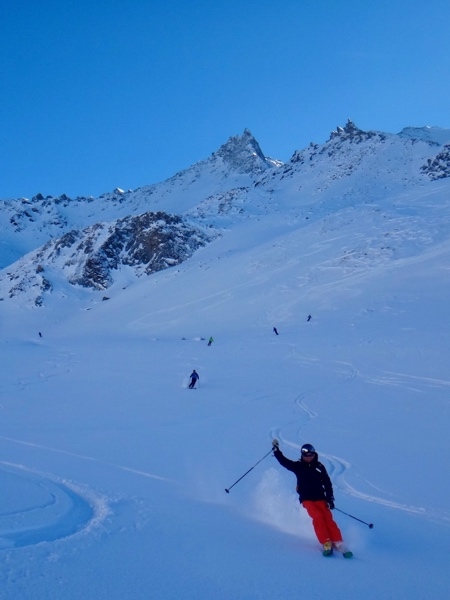 We can enjoy the excellent granite Chamoniard: the Grand Capucin, the Aiguillle du Midi, the Little Jorasses, the Aiguilles de Chamonix, the Aiguilles Rouges, etc. 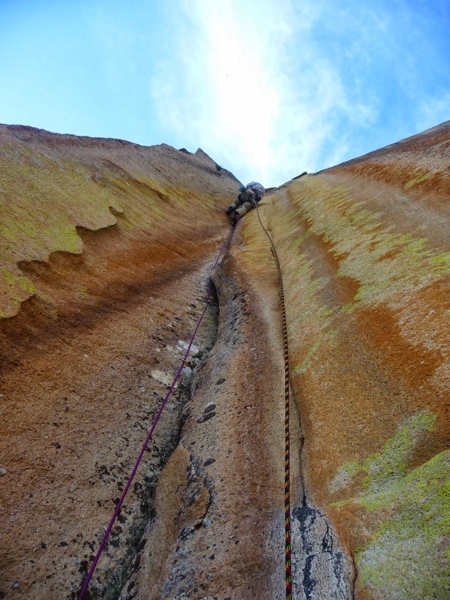 Rocky channels in compact granite, of all lengths and all levels, from quite difficult (AD) to extremely difficult (ED), for the pleasure of the hands but also the eyes. I suggest you practice climbing safely in large rocky French walls: Gorges du Verdon, Aiguillette du Lauzet in the Cerces, the Gillardes wall in the Dévoluy, the wall of Presles in the Vercors, Archianne in the Diois, the pliers of Mont Brison in Brianconnais, etc. There are also beautiful walls accessible in the surrounding countries: Mallos del Riglos in Spain, the wall of Sanetch in Switzerland and the beautiful walls of the Italian Dolomites: Tre Cime di Lavaredo, Torre Trieste, Civetta, etc. 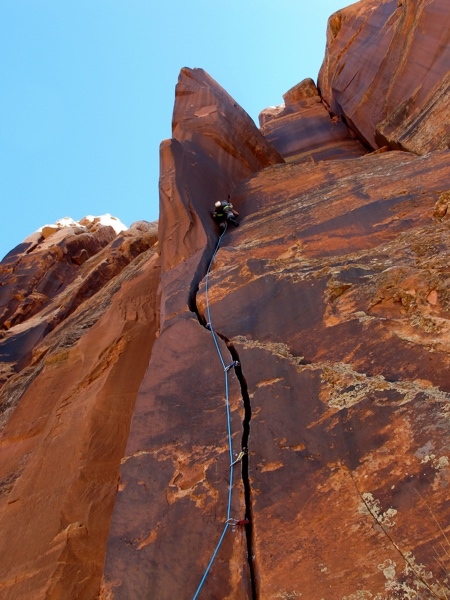 Great rocky ways, of all levels and all lengths, to have fun climbing, head or second. I suggest climbing cliffs, to introduce you, improve or gain greater ease before going to high mountains. There are many possibilities of climbing schools between Grenoble, Gap and Briancon to achieve lengths of all levels (from 3 to 7) and all styles (slabs, walls, slopes) according to your objectives. Climbing sites particularly suitable for children and / or adults; for initiation, development and the acquisition of autonomy. 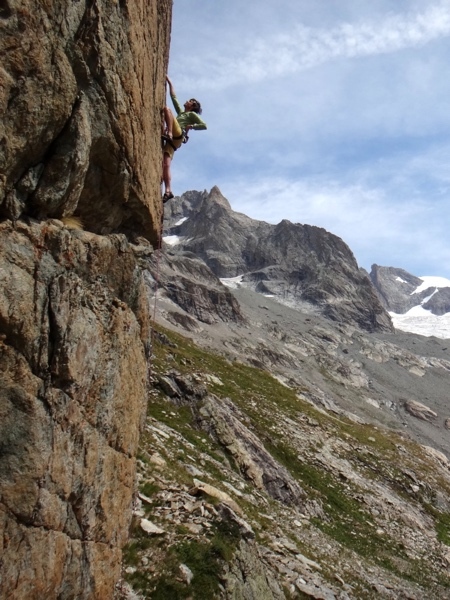 I suggest you to travel safely the most beautiful via ferrata of the Isere: Saint Christophe en Oisans, the Etroits in the Dévoluy, the Bastille in Grenoble, Chamrousse, Alpe d'Huez, etc. 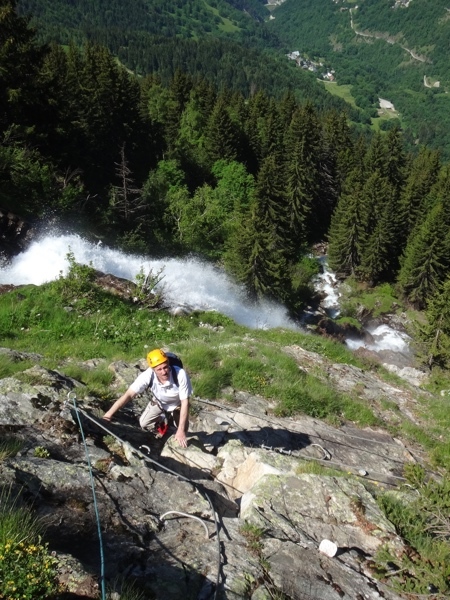 We can also make the magnificent via ferrata of the Hautes Alpes: the Gorges de la Durance at Argentière la Bessée, the Motte du Caire near Sisteron, Serre Chevalier, Les Vigneaux, Puy Saint Vincent, etc. Via ferrata of all levels, from easy (F) to very difficult (TD), to learn the vertical world smoothly and enjoy the alpine panoramas. I propose to make the great glacier raids of the French Alps: the Tour de la Meije, the Vallée Blanche, the Balconies of the Sea of Ice, the Glaciers de la Vanoise, etc. We can also walk the classic glacier hikes of our alpine neighbors: the Chamonix-Zermatt "Haute Route", the Silvretta Massif, the Oberland and the Aletsch Glacier, etc. Glacier treks, snowfields and paths, from 3 to 7 days, without any particular technical difficulties, for anyone who enjoys walking and wanting to gradually discover the middle of the mountain. Guardian at the Soreiller refuge, I know the area particularly well. 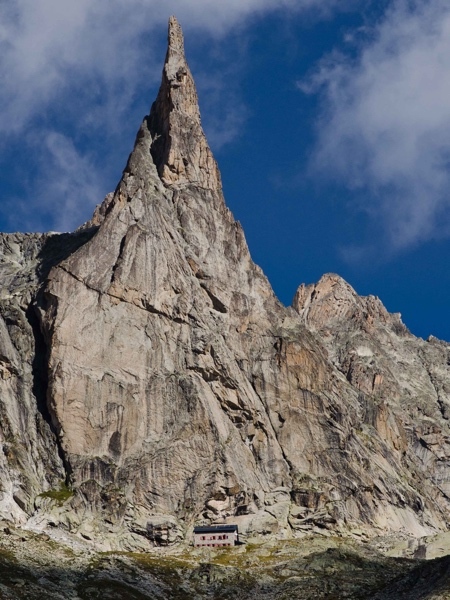 I suggest you to walk at your own pace and according to your level the most beautiful granite climbing proposed by the fabulous "Cirque du Soreiller". The possibilities are many ... Dibona Needle, Soreiller Needles, Saddle Plate Needle, Burlan Spikes, Gény Peak, Rouget Head, etc. Very nice rock races but also ridge races of all levels. The Guide reserves the right to cancel or modify the program according to snow or climatic conditions. The additional costs (ski lifts, taxi, helicopter, meals, nights, etc.) are the responsibility of the customers. For any commitment, the expenses of the Guide (travel, accommodation, meals, etc.) are to be shared between the participants. To confirm a reservation of several days, you will be asked a deposit of 30% of the management. 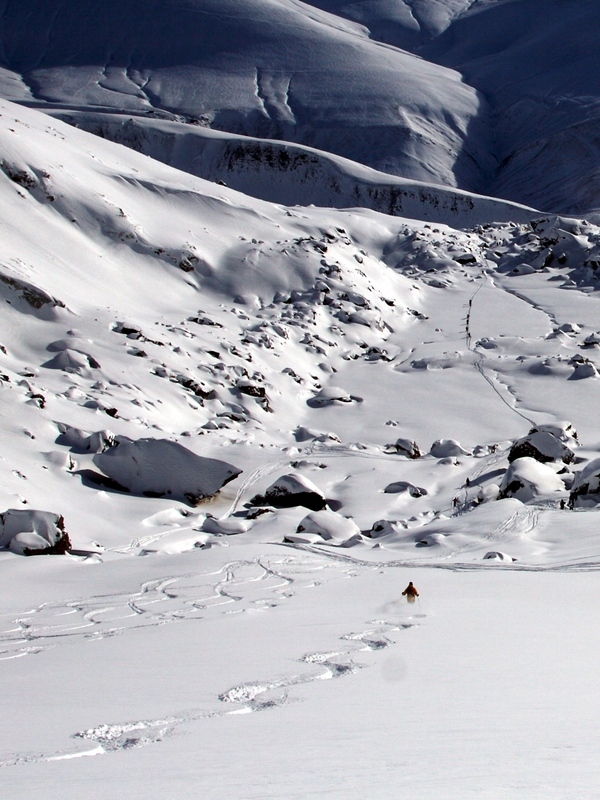 The deposit will be returned in case of cancellation by the guide for weather reasons or bad conditions of the mountain. For all off-piste activities, I can provide you with personal safety equipment: ARVA, shovel, probe and harness. For all "collective" activities (climbing schools, ice climbing, via-ferrata, etc. 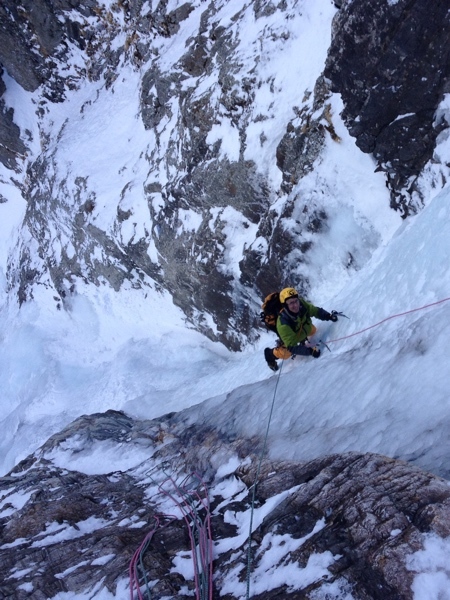 ), I can provide you with the personal technical equipment: harness, helmet, crampons, ice axes and via-ferrata lanyard. My professional liability insurance insures you for all the expenses of relief and research during the supervised activities. However, I advise you to subscribe for the duration of your stay a liability insurance covering these "mountain activities". I propose you to go together the very beautiful off piste of the Alps. Whatever your level of skiing or surfing, the possibilities are many. For a day or a week, in all cases, the pleasure of skiing for you and according to your desires! Off piste easy and close, for average skiers (blue-red tracks) wanting to learn the joys of off-piste; learning the technical basics of off-piste skiing and introduction to the use of ARVA (Avalanche Research Unit). 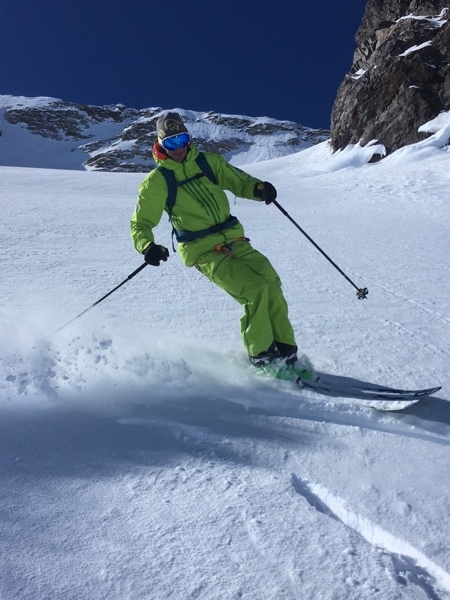 Off-piste accessible and varied, for experienced skiers (black slopes) wanting to improve (technical advice) or simply enjoy the routes, verification of knowledge of the handling of the ARVA. 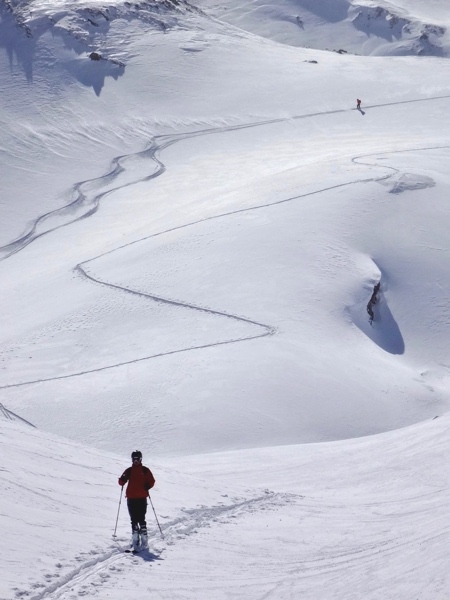 Off-piste longer and engaged, for excellent skiers "all snows" accustomed to this kind of evolution off the beaten track, verification of the knowledge of the handling of the ARVA. For off-piste skiing activities, I can lend you the individual safety equipment: ARVA, shovel, probe and harness. Possibility of ski test. Learning the use of specific equipment for ski touring, introduction to the handling of ARVA (avalanche search device) and easy hike with a reasonable altitude (300 to 500 m). Varied output according to the technical level of the participants with a real summit as objective, elevation adapted to the group (from 500 to 2000 m), verification of the knowledge of the handling of the ARVA. 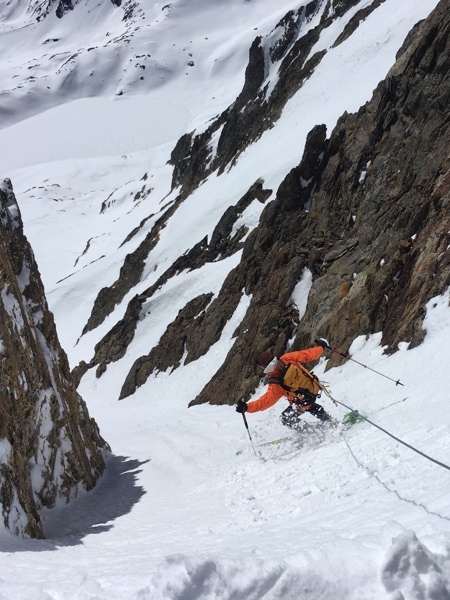 Outings of several days (from 2 to 7 days), with nights in shelters or lodgings and climbs of several summits (variable height differences); for seasoned hikers with good off-piste skiing and good general physical condition. Verification of the knowledge of the handling of the ARVA. For ski touring activities, I can lend you individual safety equipment: ARVA, shovel, probe and harness. In France, the depositions on summits being prohibited, it is about times; we take advantage of the ski lifts to reach the top of the resort, we realize together a suitable off-piste descent and the helicopter picks us up at the bottom of the valley and drops us at the resort's Altiport after a flight of several minutes! 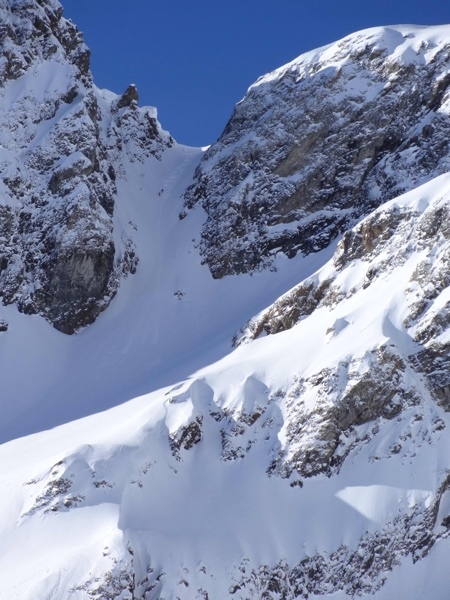 In Switzerland and Italy (Valle d'Aosta), depositions are allowed on well-recorded peaks; we take advantage of the helicopter that drops us on a summit, we realize together a suitable off-piste descent and we continue the day by a recovery to the station or a new removal to a new summit. 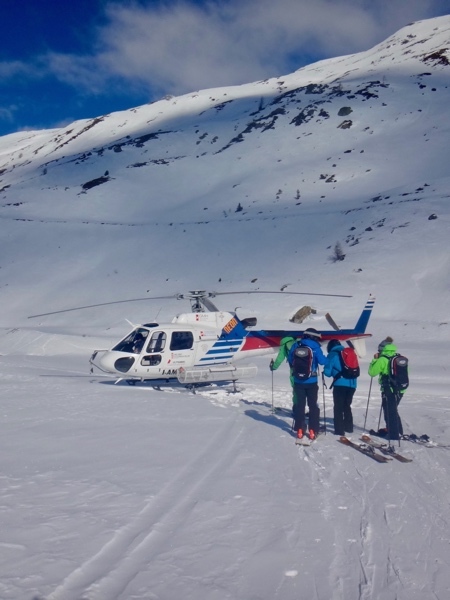 The heliskiing activities are aimed at the skiers of classic itineraries (confirmed, black slope) as well as skiers of technical routes (excellent, "all snow"). Verification of the knowledge of the handling of ARVA and technical preparation for helicopter flight. 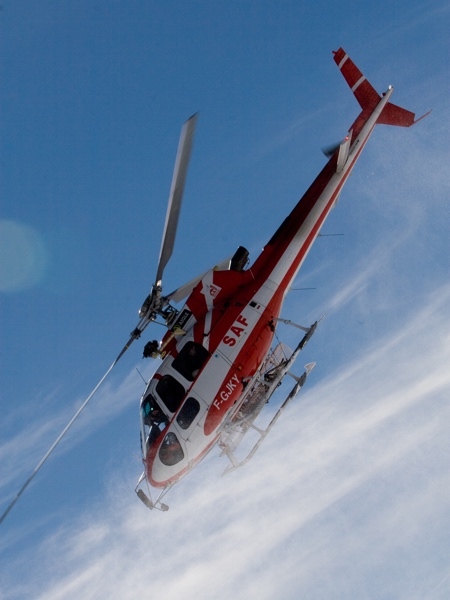 For the heliski activities, I can lend you the individual safety equipment: ARVA, shovel, probe and harness. Possibility of ski test. Learning the use of equipment (ice axes, crampons, spindles, etc. ), ascents of small waterfalls in rickshaws, technical workshops of belaying and progression, initiation to the handling of ARVA (apparatus of search of victims of avalanches ). 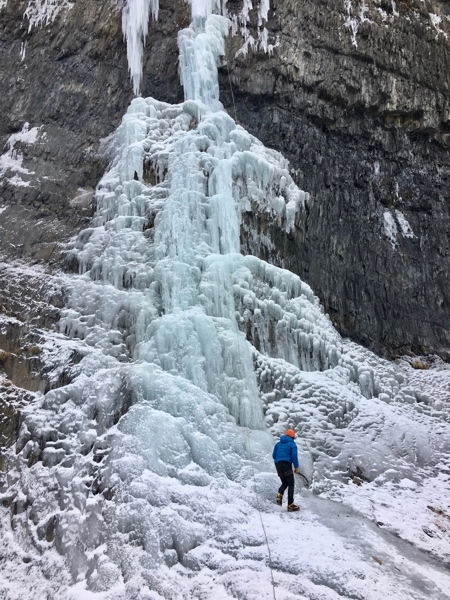 Cascades climbs adapted to your technical level, one or more lengths, second or top rope, for the desire to progress or the pleasure of being taken away; technical advancement and belay advices, dry-tooling practice, verification of knowledge of the use of the ARVA. For icefall activities, I can lend you individual safety equipment: ARVA, shovel, probe. I can also provide you with personal technical equipment: harness, ice axes, crampons and helmet. 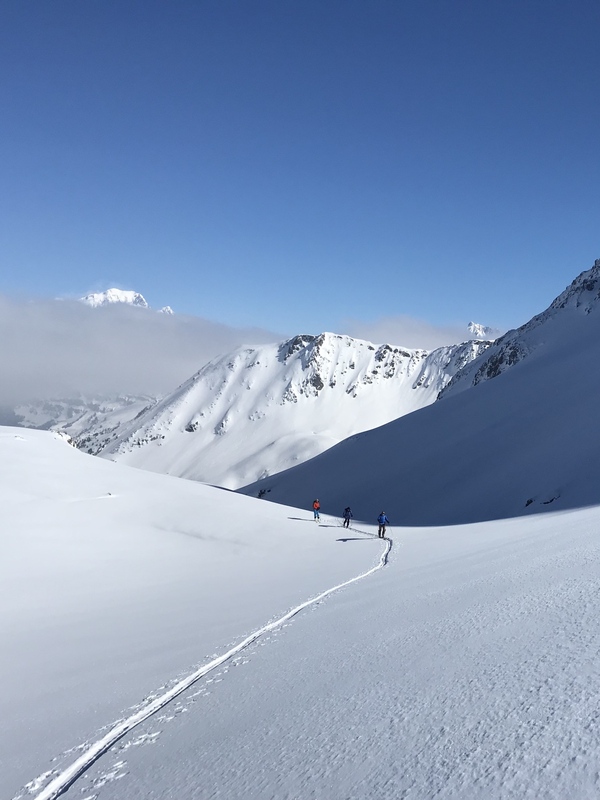 I propose you to share together the charms of winter mountaineering: approach to skiing or snowshoeing, "easy" ways to discover the environment, moderate level corridors for the atmosphere and the line, steep chutes and committed to an adventure special. 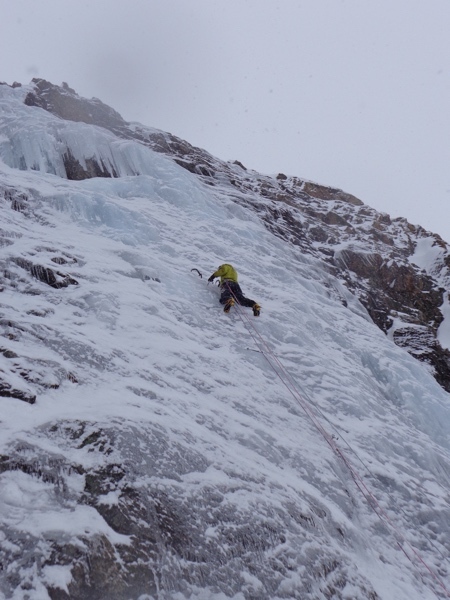 With adapted equipment, winter mountaineering is within reach of your ice axes and crampons. 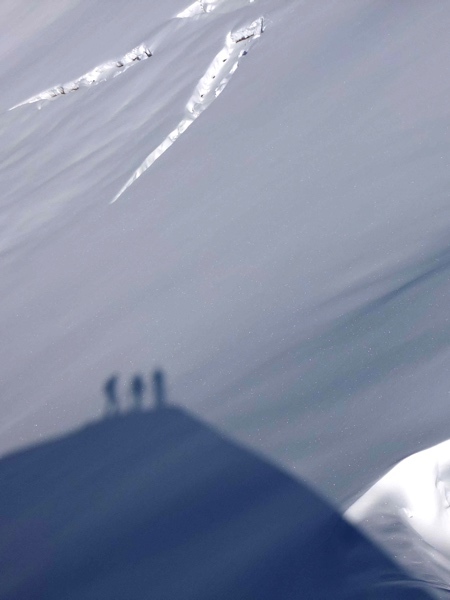 Pathways not too long, reasonable approaches, moderate technical difficulties; the discovery of winter mountaineering! Initiation to the handling of the ARVA (apparatus of search of victims of avalanches). Routes of all levels and lengths, isolation and commitment sometimes serious, for the followers of a mountaineering "wild". Verification of the knowledge of the handling of the ARVA. For winter mountaineering activities, ARVA, shovel, probe. I can also provide you with harness, ice axes, crampons and helmet.